TRUCK & SHOWROOM IDENTIFICATION DECALS. WHEEL HORSE. 1974 DEALERS PAGE FOR SALES MANUAL. SINGLE PAGE (FRONT & BACK). WHEEL HORSE ROUND. PRINTED VINYL DECAL. This is a printed decal with a contour cut. Vinyl Decal. 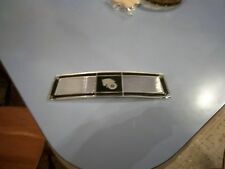 It is a white decal with the color printed on top. This is a printed decal with a contour cut. WHEEL HORSE HEAD. PRINTED VINYL DECAL. Vinyl Decal. It is a white decal with the color printed on top. Computer Cut. Toro, wheel horse head light lens asm with decal current part number 98-1713 replaces 7075 and 103771 make sure this is the part you need if not just ask and I will look it up. WHEEL HORSE. SHIFT PATTERN. Quantity: Set of 2. Apply to any smooth clean surface. I have 250 available. They are unused NOS. They are NOT reproductions. 2-WHEEL HORSE DECALS(RED & BLACK ON WHITE BACK GROUND). WHEEL HORSE GARDEN TRACTORDECALS. TO VIEW MORE OF MY DECALS. 1 FOR LEFT SIDE & 1 FOR RIGHT SIDE. Pair of WHEEL HORSE Vinyl decals Dimensions: 10" x 2.5" EACH Material: Long Lasting vinyl Durability: 7 years outdoors Color: Red & Black on White contour Waterproof material: Yes Easy installation instructions included! 2-WHEEL HORSE DECALS. WHEEL HORSE GARDEN TRACTORDECALS. TO VIEW MORE OF MY DECALS. WHEEL HORSE OUTLINE. This is a die cut decal, only the colored parts of the decal will show when applied. Any white area in the photo will be the surface you apply the decal to. DIE CUT DECAL. Apply to any smooth clean surface. I have 15 available. They do flatten out by hand ok. They are NOT reproductions. We can work with just about any schedule. WHEEL HORSE OUTLINE. This is a die cut decal, only the colored parts of the decal will show when applied. DIE CUT DECAL. Any white area in the photo will be the surface you apply the decal to. Apply to any smooth clean surface. Qty: 2, One facing each direction. Hood Decal. WHEEL HORSE. PRINTED VINYL DECAL. This is a printed decal with a contour cut. Vinyl Decal. 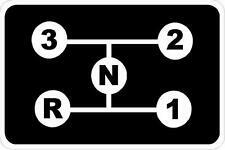 Wheel Horse Mower Deck Decal. Wheel Horse Decals NOS OEM. Not sure what model these go on. Not sure what model these go on. BAG NOT INCLUDED! 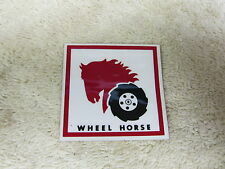 FOR SALE IS A NEW OLD STOCK C-175 WHEEL HORSE STICKER. THIS STICKER HAS ALWAYS BEEN KEPT IN THE BOX COILED UP. IT IS IN PERFECT CONDITION! VERY HARD TO FIND!! PLEASE DONT MISS OUT ON THIS ITEM AT A FRACTION OF THE COST OF NEW. PLEASE TAKE A LOOK AT MY OTHER ITEMS AND TAKE ADVANTAGE OF THE FREE SHIPPING!! Buyer must pay within 3 days of auction end Only ship to the lower 48 US States Please ask questions Feedback appreciated and I will do the same!! NEW WHEEL HORSE DECAL. THIS DECAL LOOKS VERY WELL FOR THE AGE. 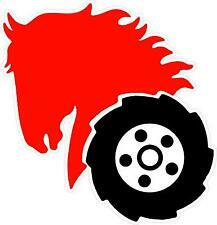 Wheel Horse Horse Head Decal.